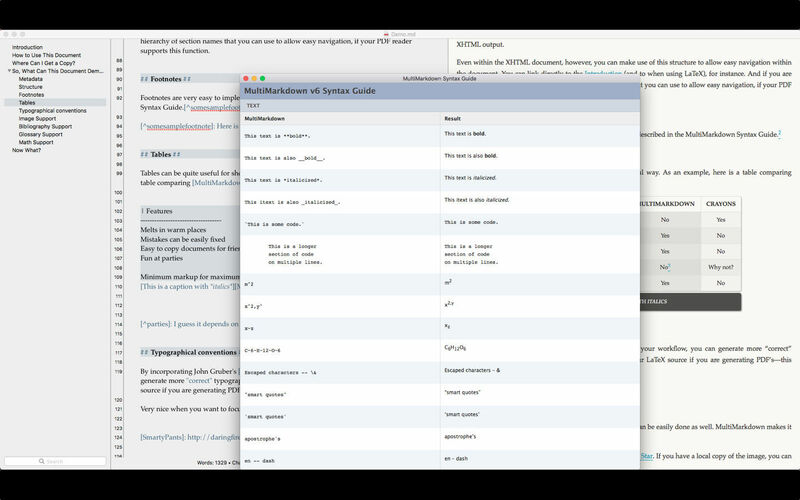 Text editor built around the MultiMarkdown syntax. 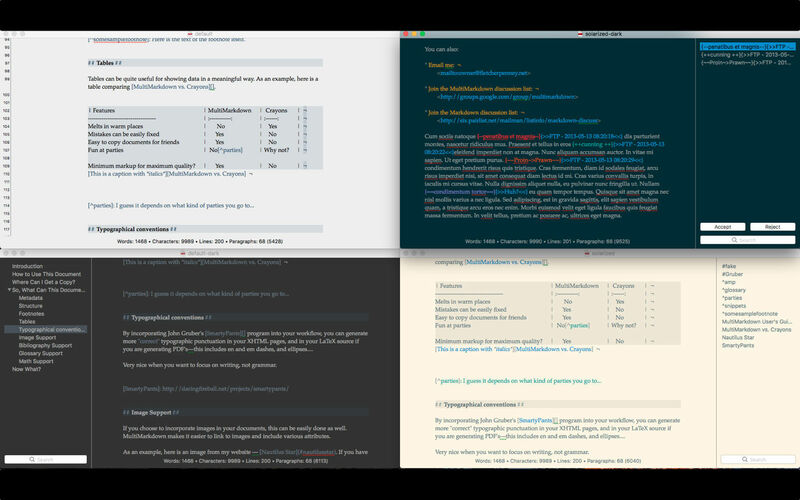 Is there a better alternative to MultiMarkdown Composer? 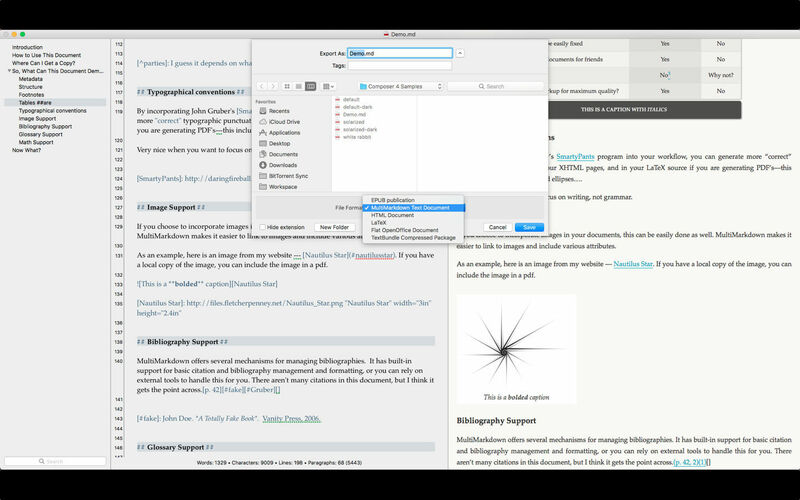 Is MultiMarkdown Composer really the best app in Word Processing category? 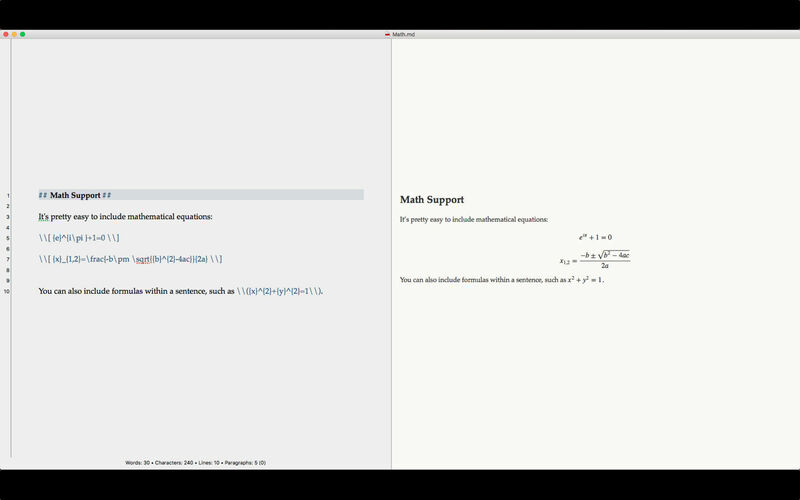 Will MultiMarkdown Composer work good on macOS 10.13.4? 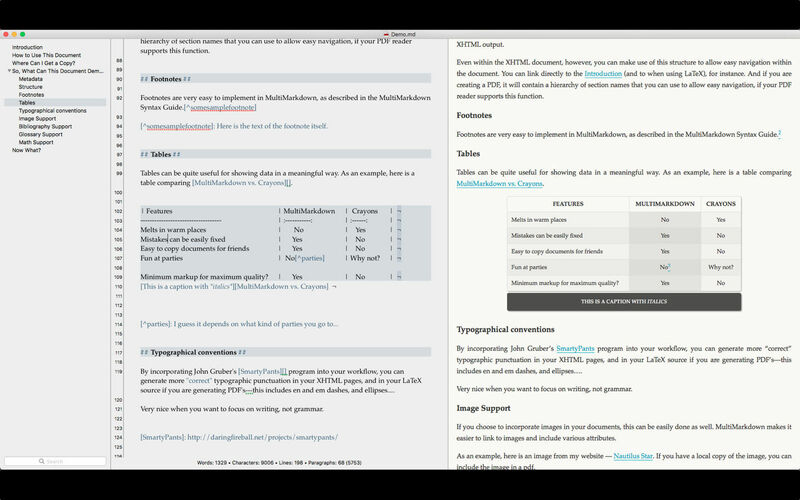 MultiMarkdown Composer is a text editor specifically designed for writing in MultiMarkdown (or regular Markdown). By using an editor built around Markdown/MultiMarkdown, you can focus on the *writing*, rather than worrying about formatting and styles. Composer's intelligent tools provide automatic support while you write -- organize your document with the Table of Contents, quickly insert links, images, etc. with the References sidebar, and quickly review CriticMarkup edits.